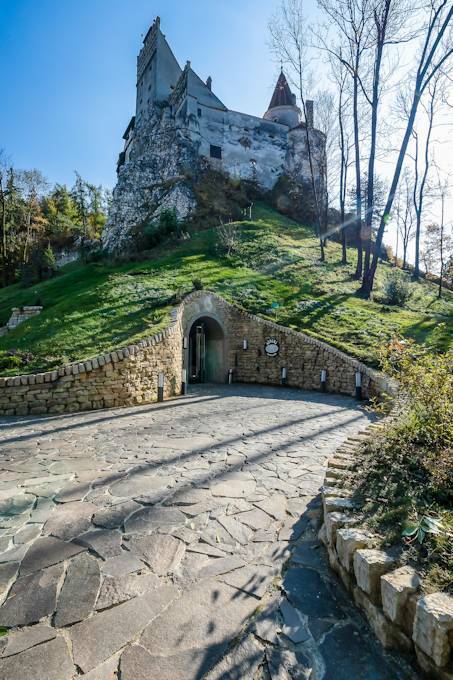 The Time Tunnel, Bran Castle’s child, was born today from the entrails of the impressive building. But in order to get here, it was necessary that almost 641 years ago, in 1377, together with the first documentary mention, some people would dig a traditional water supply deep into the stone, inside the medieval fortress. Then, centuries later, in 1930, it passed through Queen Marie’s hands; she and architect Karel Liman decided that the well was suitable for hosting an electric elevator. Thus, other people dug the horizontal gallery into the stone, in order to link it with the Royal Park at the bottom of the castle. And then the darkness, silence and forgetfulness have spread over the two galleries. Seventy years later, a multi-disciplinary team shaped a part of the rock that survived over the ages, witnessing historical events at the crossroads between countries and nations. Almost 6 years have passed until the idea came into being and the site was opened during the spring of 2017. It all began with geotechnical and geomorphic studies and surveys, topographic excavations of the entire existing route, technical expertise of the rock, historical studies, marketing studies. These, along with the idea of what should become in the end, have led to the theme that we are introducing today. Designing the project took approximately 7,000 hours, developed by an extensive multidisciplinary team consisting of over 100 people having various specialties: architecture, resistance studies, restoration, electrical installations, sanitary facilities, heat ventilation, and technological specialties (elevator and IT structure). The unique construction, 100% Romanian, was executed underground, under unusual conditions, in a historical monument, with special technologies, due to the fact that the geometry of both the tunnel and the dome implies unrepeatable sections and extremely high difficulty. Twelve miners displaced 330 cubic meters of various rocks in order to increase the section of the shaft and horizontal tunnel. 29,000 hours of work were consumed, the total excavation volume being 1,900 cubic meters (equaling 100 trucks) and 420 cubic meters of concrete were cast (100 concrete mixers). Today, the Time Tunnel lives and grows as a result of the intelligence and creativity that people have devoted to technology. What the Time Tunnel offers today as a media show can be expanded and adapted to new technologies. 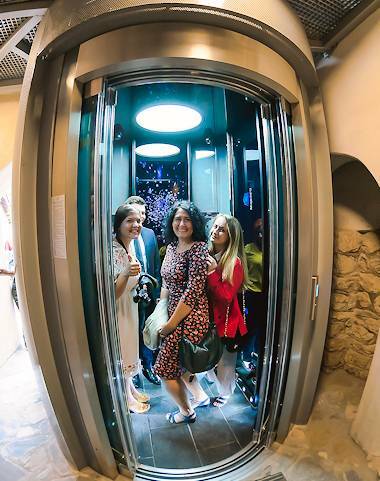 Equally, the elevator booth is specially designed for Bran Castle, it is unique, it has a warranty of 25 years of daily operation and holds a special record: it performs the longest approved ride in Romania, 31.5 meters between the two stations (start and arrival). A challenge for designers who were forced to find a whole new kind of solution for emergency evacuation: a hatch in the ceiling and an electric mechanism that was placed at the top of the shaft. The elevator is also equipped with sensors for earthquake detection, smoke sensors, temperature, humidity, and gas sensors. If they are activated, the booth will be directed to the upper station. 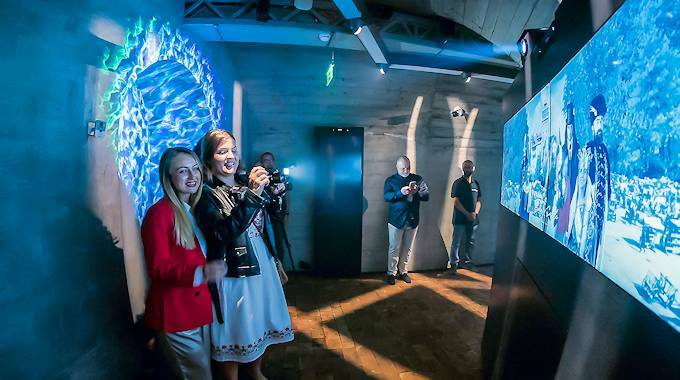 The speed is flexible in order to accommodate media needs and scenarios, and last-generation screens and cameras have been installed inside the elevator, so that the media show could be adjusted whenever desired. 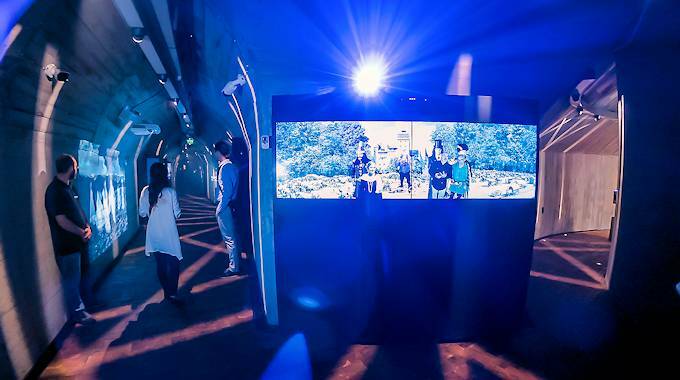 For the multimedia show to take place, an interactive multimedia exhibition was designed, by integrating high technology solutions and concepts from complex computer servers and systems to sensor areas, automation systems, power drives, electronic control, platforms, applications and software solutions. New multimedia content, animations, shaping and three-dimensional simulations were added. The numbers are eloquent: 20 kilometers of cable trails, over 150 sensors across the entire electromagnetic spectrum, 60 servers and control systems, 5 independent audio systems, 80 sound control channels, intelligent lighting systems, special effect equipment (fog machines, light effects), position and presence sensors, facial expression detection, 120 dedicated software and applications. 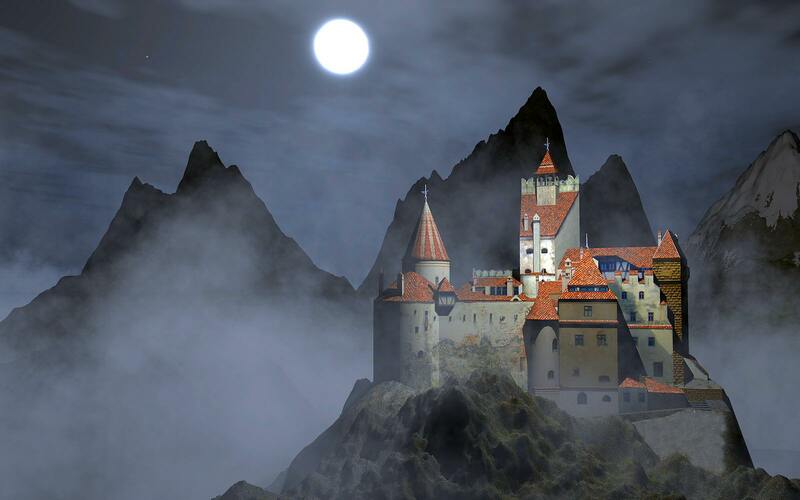 A hundred percent Romanian project, where the soundtrack was made by Romanian composers and sound editors (Adrian Sarbu, Alexandru Nuca and Raymond Manu), everything was produced for the Time Tunnel, to describe the history and culture of Bran Castle and the geographical area it belongs to. The show will permanently be tracked, 24 hours a day, 7 days a week and it will be operated by an automated system and supervised by system engineers. 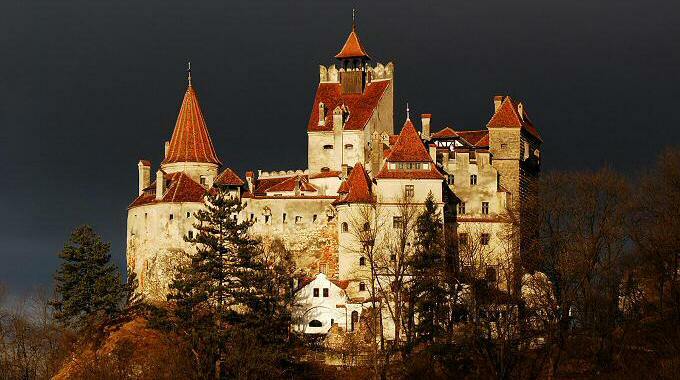 Bran Castle was pleased to welcome its champions. 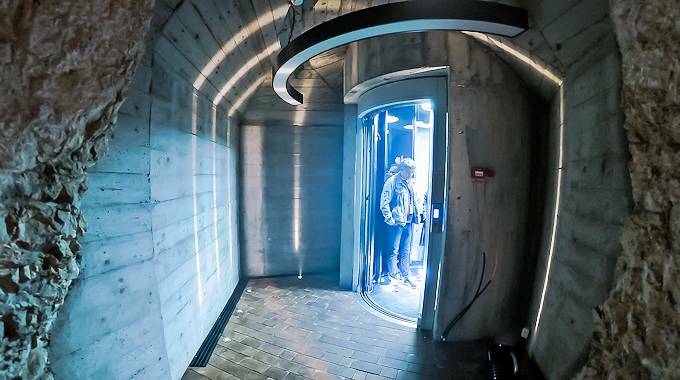 The "STONE" elevator, designed and manufactured by ELMAS S.A., was deemed designated the absolute winner of to the “Special-Purpose Lifts” section in of the "ELEVATOR WORLD" competition, held in the United States of America. 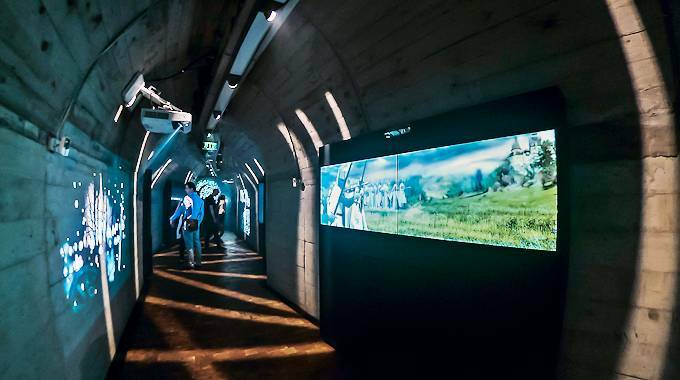 The "Stone" elevator is an integral part of the Time Tunnel, which is considered to be the greatest current innovation among the European museums. The award is a new recognition of the Romanian professionalism, creativity and excellence; it comes after 56 years spent by Mr. Marton Geza Roth in the field and 28 years of teamwork under his direction.